The Formula That Plots Itself That’s so meta…This mathematical formula, like many formulae, can be plotted on a graph. But when you plot this one, it creates a picture of itself! Experimental Math What you get when you subtract theorems from math. Part I: Fun With Number Theory — exploring the sum of prime factors of integers, for no good reason. Part II: The Naughty Naughty Life of Pi – exploring the digits of Pi, for an excellent reason: to find naughty words!!! How to Make an Artificial Windbag As if I didn’t write enough BS myself… How to write a simple computer program that “talks”, when you give it something to learn from. More Fun With Number Theory We had some fun, earlier in the “Experimental Math” section, when we tried out some experimental number theory. But what do other people do? 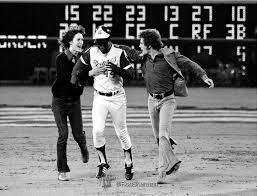 For one thing, they name mathematical concepts after Hank Aaron. 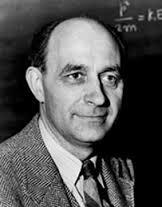 How Do You Solve a Problem Like Fermi? Quick! How many people in the world have the same number of hairs on their head as you? How long would all the DNA in your body be, if you stretched it all out end-to-end? How big is a mole of moles? Find out more, in our compilation of our favorite Fermi Problems! hello there folks! I’m a spacer!